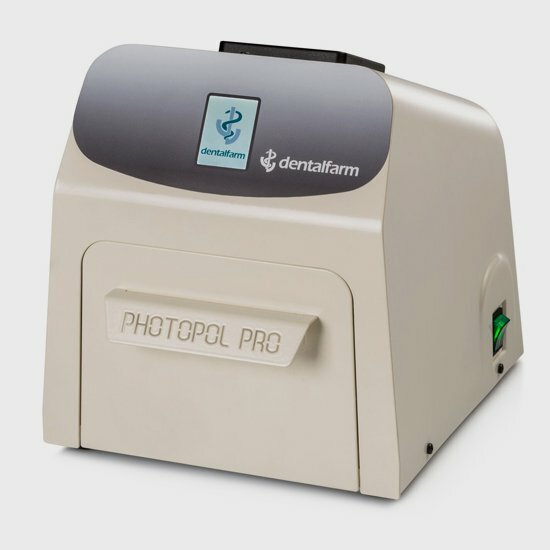 Photopol PRO is a multi-purpose light-curing furnace which best suits with most composites sensitive to UV light. Three extremely powerful circuits à 8 LED UV at different frequency assure the overall radiation. The distinctive feature of each individual LED is a specific collimation lens focusing the light (therefore the emitted power) in a very restricted angle of incidence. Both the working chamber and the horizontal plane are coated with highly reflecting material assuring a mirror effect with no dispersion of ultraviolet rays. 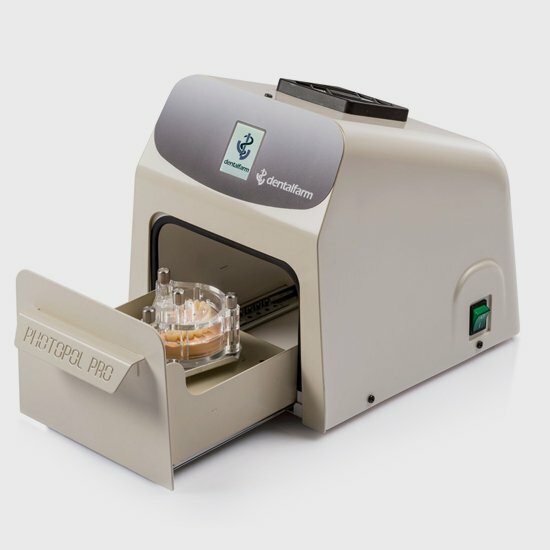 The support plate is steadily rotating and it has been conveniently assembled on a sliding drawer allowing to position and to pick up easily the elements to be treated.